Mindful walking In nature cultivates an inner coherence. It allows exactly what you need to become aware of and process to present itself without any cognitive effort al all. Sometimes specific things get resolved during the walks, sometimes it’s simply about the healing that happens through connecting to the natural world and bathing the senses in it’s beauty and tranquility. Click HERE for a description of our first days walk. Walkinginspirit is a sensory based walking meditation. The idea is not to focus on getting anywhere but, instead, to give your Self fully to the felt experience of the present moment and to delight in just being in nature. This is a walking holiday with a difference. It’s a chance to put aside everyday roles and concerns and operate from a deeper sense of Self, a self that is more fully you. It’s not so much about becoming anything, it’s more about unbecoming everything that isn’t really you. We will be walking mindfully and at a gentle pace. We take lots of breaks so you don’t have to be super-fit to take part. Message me at frankie@walkinginspirit.co.uk or call on 07969 89 5834 and do look at “practicalities” for more information. There will be plenty of time outside of the walking to relax, talk, enjoy the local food and have fun. This part of Spain is not well known to tourists and this means we can often walk all day without meeting other people. Somiedo is a feast for the senses! 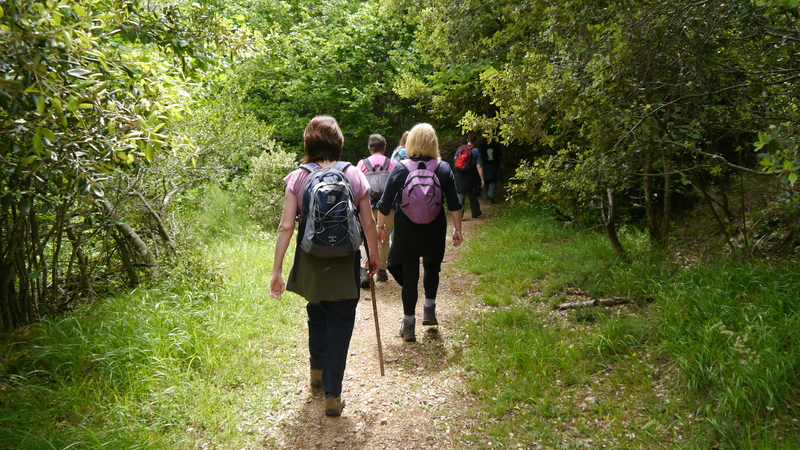 We will be experiencing many amazing plants and animals on our walks, drinking fresh pure water from streams, enjoying nourishing food and simply tuning in to the natural world and its rhythms. We will certainly see signs of the wolves and bears that inhabit the park and, if we are lucky we may even see one! Asturias has a rich mythology in the Celtic tradition and we will be exploring some of it’s archetypes along the way. This retreat is not connected with any denomination or religion or belief system and is suitable for anyone on a path of personal/spiritual development and exploration. Walkinginspirit is a female friendly event. Click “here” to be transferred to the reservations page. Sounds amazing….how can i contact you for more information?